The Museo Thyssen-Bornemisza presents the first monographic exhibition on Surrealism and the dream. Including a total of 163 artworks by the great Surrealist masters -André Breton, Salvador Dalí, Paul Delvaux, Yves Tanguy, Joan Miró, René Magritte, Max Ernst, André Masson, Jean Arp and Man Ray- the exhibition, curated by the art critic José Jiménez, will offer a thematic presentation of the Surrealists' visual interpretation of the world of dreams. Surrealism should not be considered just one more art movement: rather, it was an attitude to life essentially based on a vision of interior images accessed through the flow of desire. Its ideas have had a key influence on all subsequent art and on the contemporary mindset. 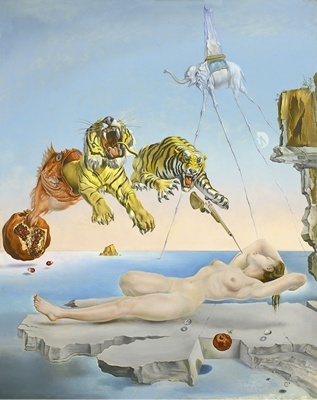 The present exhibition aims to demonstrate that this influence has its most profound roots in the Surrealist connection between dream and image. In order to do so, the exhibition will include examples from the wide range of media in which this link is evident: painting, drawing, graphic work, collage, objects, sculptures, photography and film. 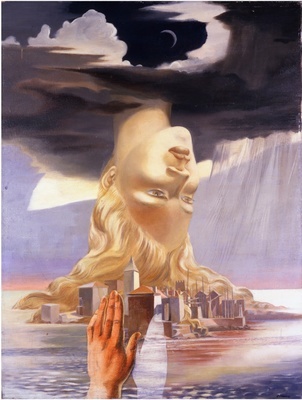 The Surrealists’ creative horizon encompassed all art forms that could enrich and expand the mind, and its doors were equally open to painters, sculptors, photographers and filmmakers who were the first to adopt the fusion of expressive genres with a multimedia aesthetic during a period of major technological advances in the production and reproduction of images. From this viewpoint, the role played by film was crucial. The darkness of the cinema brought about an encounter with the unexpected and the amazing of an unpremeditated and unconscious kind. Looking at the silver screen was the realm of waking dreams. According to André Breton, it was in cinemas that “the only totally modern mystery was celebrated”. In the present exhibition the cinema is represented by seven video installations that will project excerpts from selected Surrealist films including Un chien d’Andalou (1929) by Louis Buñuel and Salvador Dalí, in which the idea of alienation or rootlessness – a key concept in the Surrealist aesthetic - is taken to its furthest limit. The film discards any narrative ordering in order to unfold a flow of images that is as open as a dream. The significant presence of female artists in the exhibition is another important feature. For the first time, women artists encountered a key role within the context of Surrealism and one that gradually extended beyond their initial function as muses, objects of desire or companions. Many of them developed a creative personality that challenged or differed from those of their male colleagues. 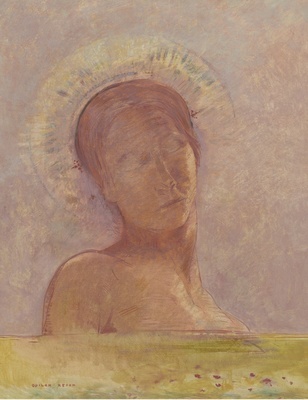 The large number (eleven) of women artists represented in the present exhibition, including Claude Cahun, Kay Sage, Nadja, Toyen, Dora Maar, Leonor Fini, Remedios Varo, Dorothea Tanning, Ángeles Santos, Meret Oppenheim and Leonora Carrington, offers proof of the unique nature of their contribution to the Surrealist representation of dreams. 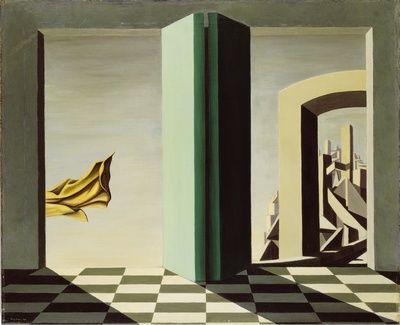 The Surrealists’ most important contribution to the artistic concept of the dream lies in the way that they ceased to consider it a void or a hole in consciousness, rather seeing it as the other half of life and a conscious plane of experience. Knowledge and liberation of this plane was central to the enrichment and expansion of the interior world, which was the principal aim of these artists. In this sense, Goya, with his depiction of the dream as a realm of human reality devoid of the supernatural or mythical connotations that were present in earlier art, crucially embarked on a direction that would be pursued by the Surrealists a century later. The liberation of the visual arts from a mimetic reproduction of exterior reality was one of the factors that brought about the transformation of modern art, particularly from the second half of the 19th century with the artistic avant-gardes. 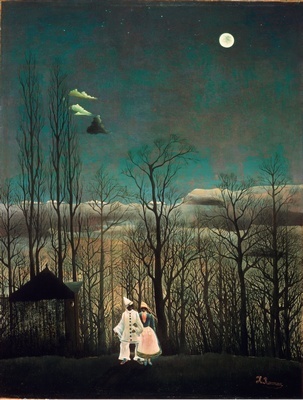 One of the most crucial aspects of the Surrealists’ contribution to this transformation was their championing of the representation of the dream world in art. In order to do so, they looked for a place in which dream and reality came together, moving to and from between the interior and exterior. Through their artistic endeavours the Surrealists thus transcribed the materials of the dream in visual form. The exhibition will be accompanied by a film cycle that includes the complete versions of the films of which excerpts will be shown on video installations in the galleries, as well as other titles. There will also be an international conference (8 and 9 October 2013) directed by the exhibition’s curator José Jiménez, which will focus on the different approaches and ideas regarding the representation of the dream in the visual arts. Opening times: Tuesdays to Sundays, 10am to 7pm. Saturdays, 10am to 9pm. Last admissions one hour before closing.